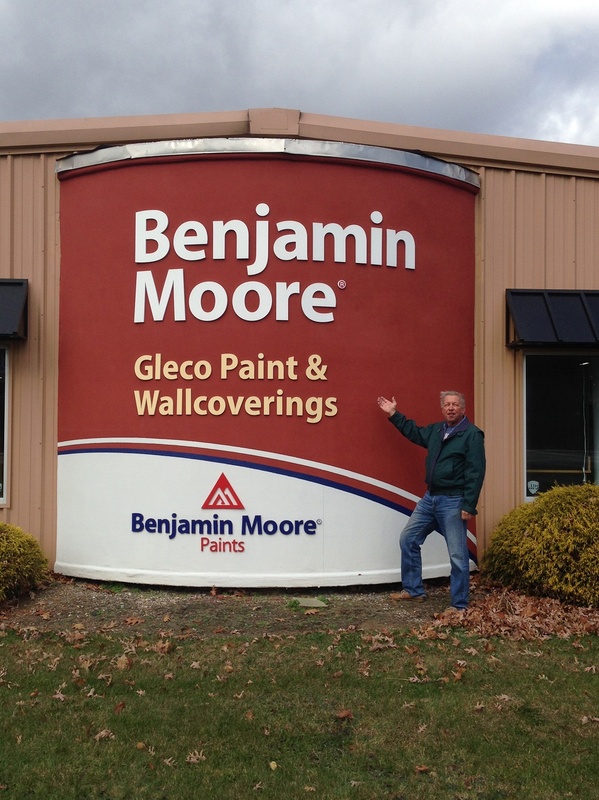 Gelco Paints and Wallcoverings – The Home of My "Big Things"
I was up at the Ben and Annie’s “Lake House” when they closed and we made a trip to the Big Box stores in nearby Mt. 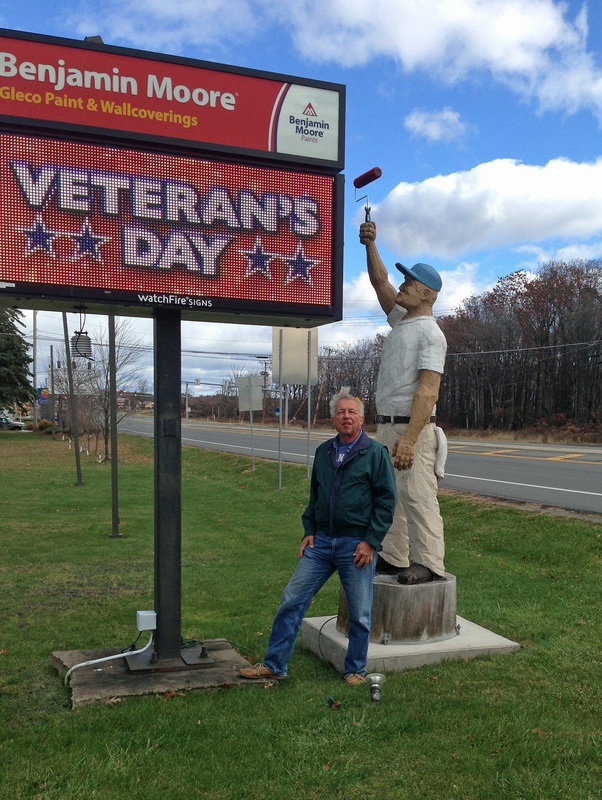 Pocono to pick up some items for the new property. While leaving we stopped at Gelco Paints since they had this Big Paint Can and Painter out in front. Gelco is on PA 940 and looks like a great place to pick up some Benjamin Moore paint.